Is Every Chiropractor an Auto Injury Chiropractor? 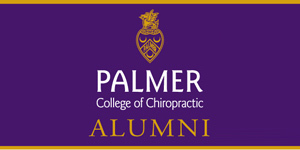 In chiropractic school, future chiropractors are trained how to approach the situation of car accidents where someone has sustained auto injuries and needs care. They know that every minute counts – and the sooner the right treatment is initiated, the sooner the patient can move on with his or her life, free from pain. They understand that some injuries are more serious than others – and need referral. That’s not to say that chiropractic care cannot continue during the time you seek medical help, or after your medical care. It can, because your auto injury chiropractor uses methods of healing that speed up healing. For example, if you have a disc bulge from the accident, spinal decompression treatment will take the pressure off the nerve and “vacuum” the disk back into the spinal canal. The most common auto injury is whiplash. Symptoms may show up at the time of the accident – or they may show up later. Whiplash takes a while to heal. The symptoms can return later after your treatment is finished. If this happens, it’s a sign that your body needs a little extra healing. Call us at the office if it happens. 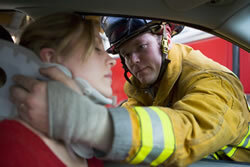 You may have other injuries besides whiplash from a car accident. An auto injury chiropractor will refer you to any other doctor who should see you. Dr. Sweeney has seen hundreds of auto injury patients over the last seven years of practice. He thoroughly understands the process and how to work with the insurance companies and receive compensation for claims. This is important to you because you want an auto injury chiropractor who can refer you to the best medical doctors or attorneys who also specialize in personal injury. It gives you peace of mind and a sense of security to know that you’re seeing all the right people at the right times during this difficult time of healing. Dr. Sweeney will explain everything at your first appointment. He'll work with you to create a comprehensive, individualized treatment plan to restore health after a car accident. Contact our office in Nashville, TN for an appointment!